As a parent, but also someone that suffers from certain irritating skin conditions, its always fantastic to come across natural products that are safe for all ages. However, it was not only the products from PurePotions that captured my attention, but also the story behind their creation. 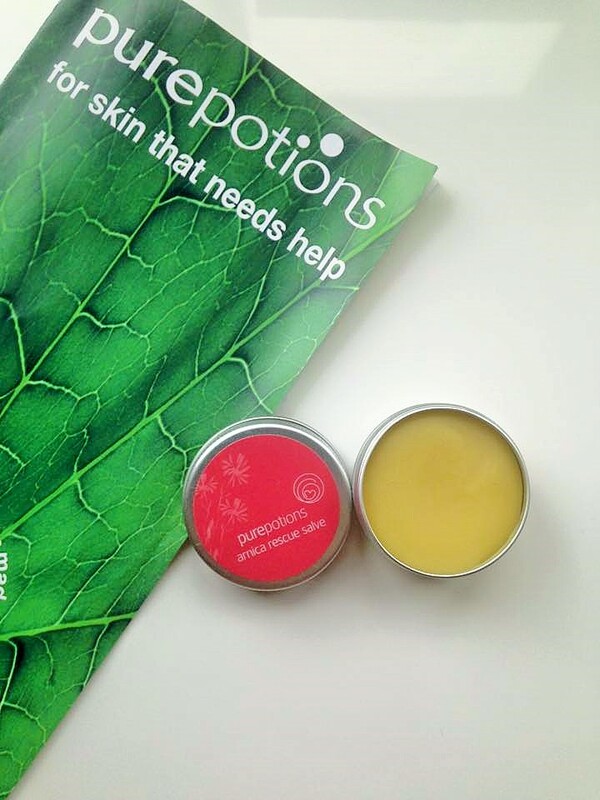 PurePotions is an English Company that began with a Mother on a mission. Natalie Balmond, began the company from her own kitchen when her young daughter was suffering from a Chronic Dry skin Condition. Natalie was trying conventional G.P prescribed medications on her daughter who was so poorly that 90% of her body was covered in open, bleeding sores. She knew there had to be an alternative. Her daughter was having to be wrapped in bandages every single day and was suffering and distressed. Following on from lots of research, Natalie created a natural Salve in her own kitchen using oils, and herbs, which dramatically improved her daughters condition. This really is the most heart warming story of a mothers determination. 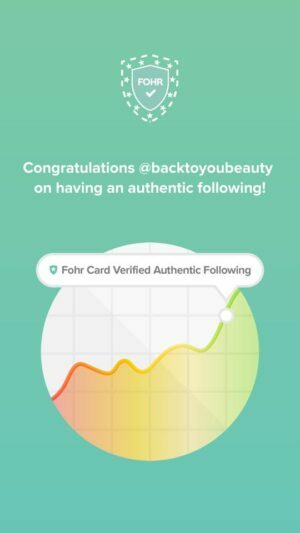 When people began to find out, they started requesting her products and so the PurePotions journey began. I would really urge everyone to take a look on their website HERE to find out more. There are some amazing Testimonials including before and after photos. Obviously check with your G.P, but i think you will find out that your G.P may already know about these products as they are also prescribed by the NHS to those with certain skin conditions. Made in England, 100 % Natural and not tested on animals. I am going to share my findings over two blog posts as i am still using some of the products but in this post i am going to be focusing on a few must have items from their range. 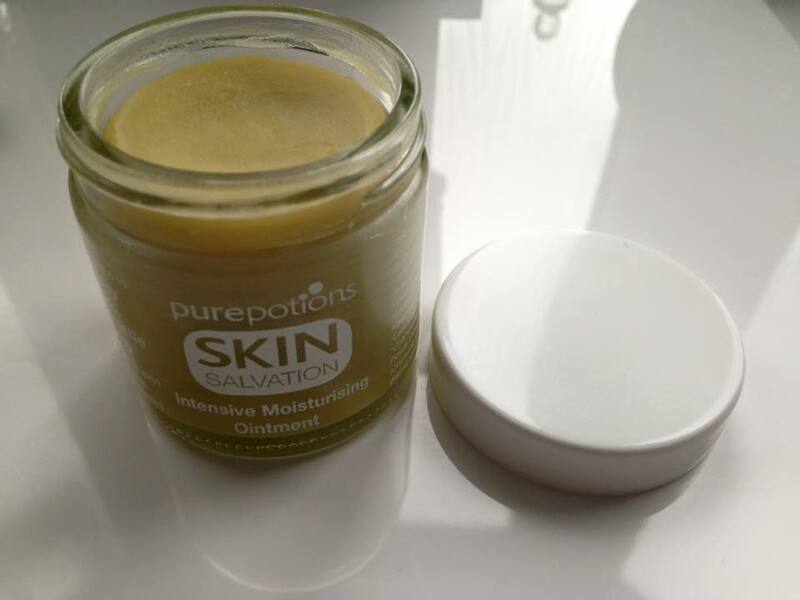 Intensive Moisture Ointment – 60ml £12.99 – This Ointment, which has a Balm like texture, is deeply moisturising and hydrating. It is free from chemicals, 100% natural and full of essential fatty acids. It is perfect for use on eczema, dry, itchy skin, psoriasis, dermatitis or anywhere that is feeling a little out of sorts. Make sure you do a 24 hour patch test first. When i received this product, i knew exactly where i was going to try it. For months and months now, my little boy has had flaky skin around his toes. Not just after he has been in the bath or swimming, but all the time. I obviously Had it checked at the doctors as i couldn’t understand why his skin would peel, but everything came back fine and the doctor said it was nothing to worry about and to use a medicated cream. The thing is, when you are not really sure what’s wrong, its difficult to accept using medication. I had tried applying Foot lotions and creams, just to keep his skin hydrated and stop him picking them, but they would just push the skin flat. When the cream had dried we would be back to square one. When the Intensive Moisture Ointment arrived, i was excited to try it. The feel of it is beautiful, just like a face balm. You need the tiniest amount as it spreads so well over a big area. I literally spread it over his toes, rubbed it in and waited. Within 4 days the dry, flaky, unsightly peeling skin was gone! Gone!. No one could have been more surprised and delighted than me. 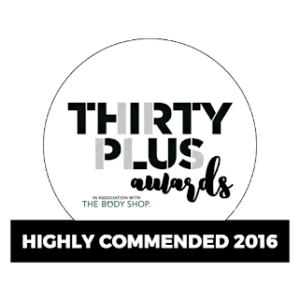 Individual results may vary of course but I cannot tell you how amazed, thrilled and happy this has made me & my son. Every night now i also put some of this ointment over my cuticles as they were always so horrible and dry and its just wonderful. Containing Nourishing and antibacterial Olive Fruit Oil, Besswax, Safflower Seed oil – which is great for moisturising sensitive skin, Calendula Tincture which is great for healing wounds, Hemp Seed Oil, Nettle Tincture which is rich in vitamins and reduces heat, Chickweed Tincture to reduce itching and Chamomile Tincture which is soothing and softening, this really is a super hero ointment. 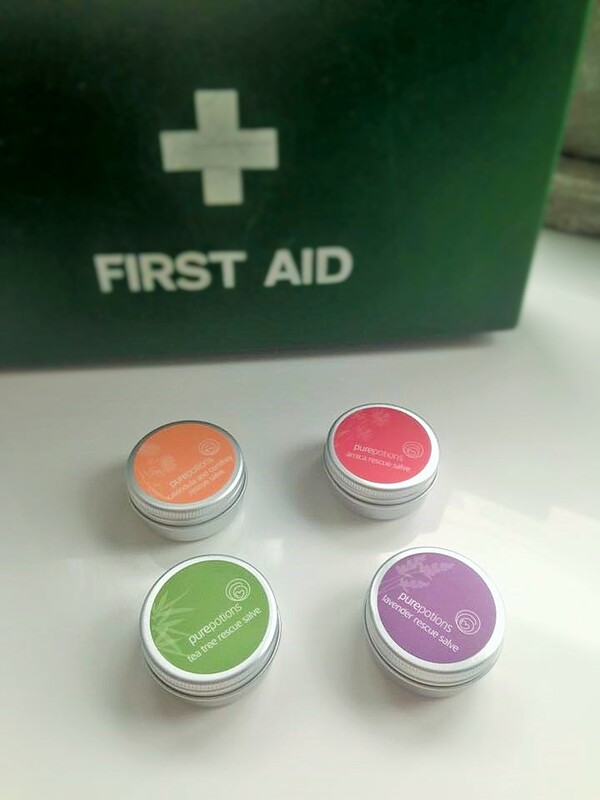 Rescue Salves set of 4 – £16.99 – Ok, These are not just for parents of little ones….but as a parent of a little one and a big one…these are a much needed addition to my handbag, glove compartment, coat pocket, first aid box. You name it! Wow – absolutely brilliant set of must haves that everyone can benefit from. Such a fantastic size that you can literally carry them in your pocket and feel safe. 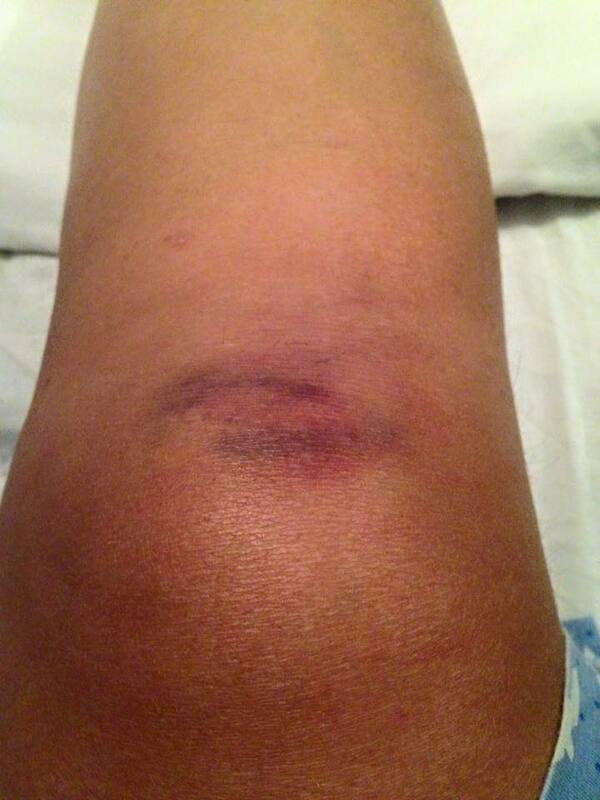 I have always used Arnica anyway on my own aches and pains and on my Children when they fall and hurt themselves. It is “mummy’s magic cream” and always makes them feel better. This 15ml size is perfect to have on you at all times just in case. 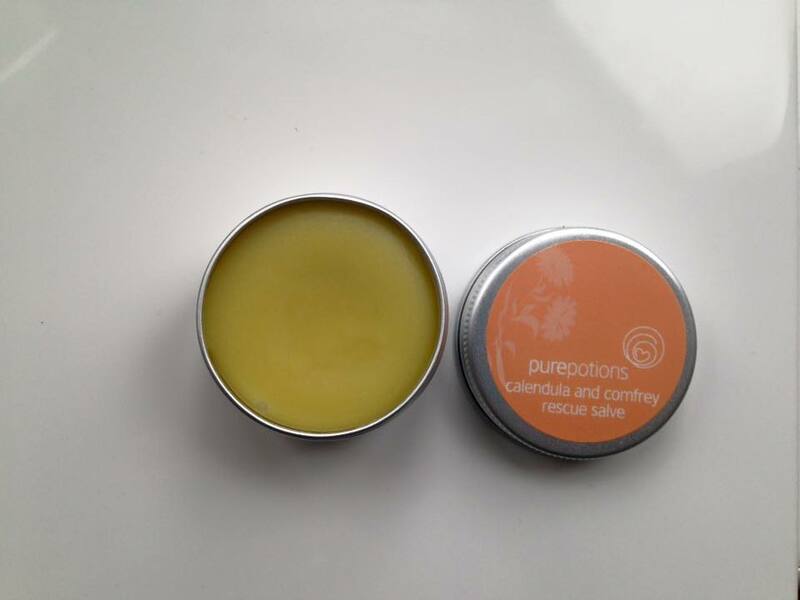 Calendula and Comfrey Rescue Salve 15ml – This salve is perfect for use in healing wounds as it has anti inflammatory properties and can be used on cuts and grazes. Again perfect on children and babies, football players, rugby players those that play sports and may sustain grazes as a result of a sliding tackle ( can you tell i have boys?). I Currently have this in my coat pocket and have been using this as a lip-salve now that the weather has started to turn more blustery and unsettled. Really easy to use just by swirling my finger gently over the top. Deeply hydrating, great for chapped lips and no taste or smell. 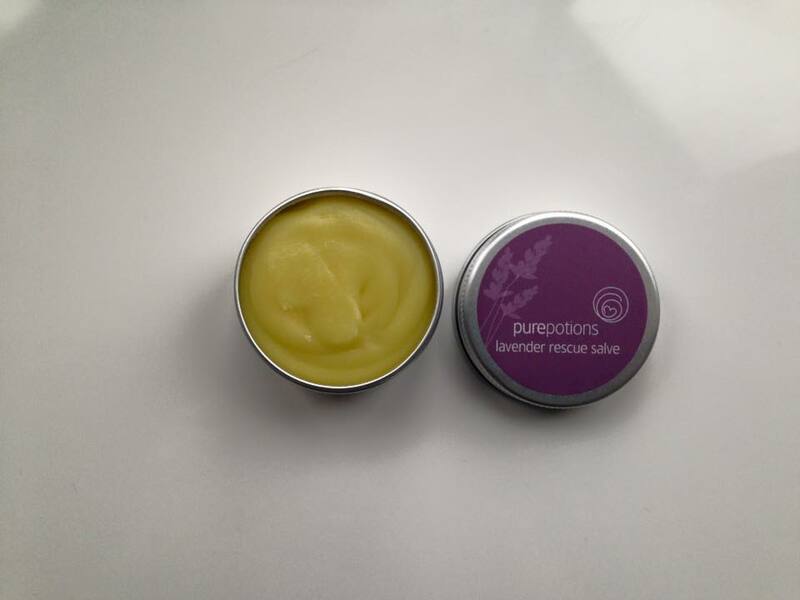 Lavender Rescue Salve 15ml – Gorgeous salve to keep handy in the kitchen as it is great on burns, so if you always manage to catch yourself on the oven,then pop some of this on. Lavender is anti-inflammatory, antibacterial and has analgesic properties so is also great on sunburn, windburn on face and cheeks and great as a lip salve too. A really fab all rounder. 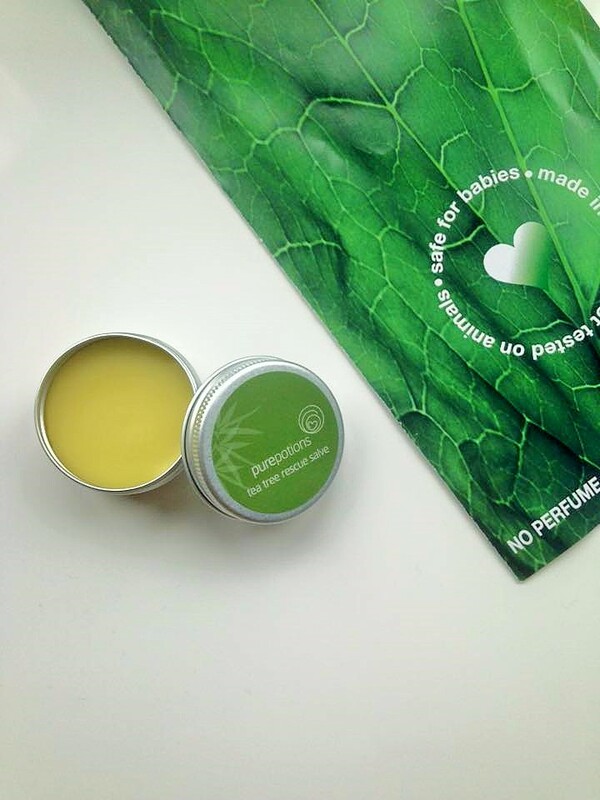 Tea Tree Rescue Salve 15ml – I think most of us know the amazing benefits of Tea Tree. It has been used for centuries and is still many peoples go to product. It is antibacterial, anti-fungal, anti-viral, anti-inflammatory and antiseptic. This product is amazing on cold sores, spots, bites, stings and fungal conditions. When you open it you can only smell the faintest smell of Tea Tree so it really is not off putting at all. Each of these salves can be bought individually, but there is a saving if you buy the four together. In my opinion every home should have this rescue set. Its great for everyone, including babies, and all situations, holidays, sports, day-trips, day to day and everything in between. Thanks to the consistency of the Salve each tin will last an age. You only need to use sparingly and not ” dig” the product out of the tin. Please do not be put off by the size – all good things come in small packages haha! 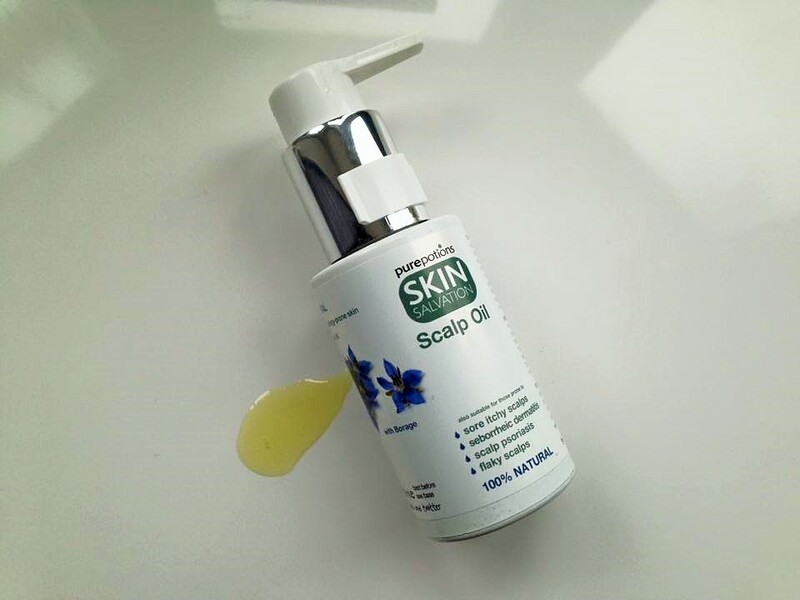 Scalp Oil 50ml – As mentioned previously on many of my posts, i take medication. Unfortunately one of the side effects of this is that it leaves my skin really dry and irritated. For over two years now a few times a year i have to use a steroid solution in my hair as my scalp becomes so itchy and flaky that i am literally clawing at my head making it bleed. Switching to SLS free shampoos has helped and so has using Propolis gel on my head but i still do get the itching. Now using this Scalp oil i can safely say the itching is under control without the need for steroid lotion. Containing Borage seed oil it is suitable for sore, itchy, flaky scalps. 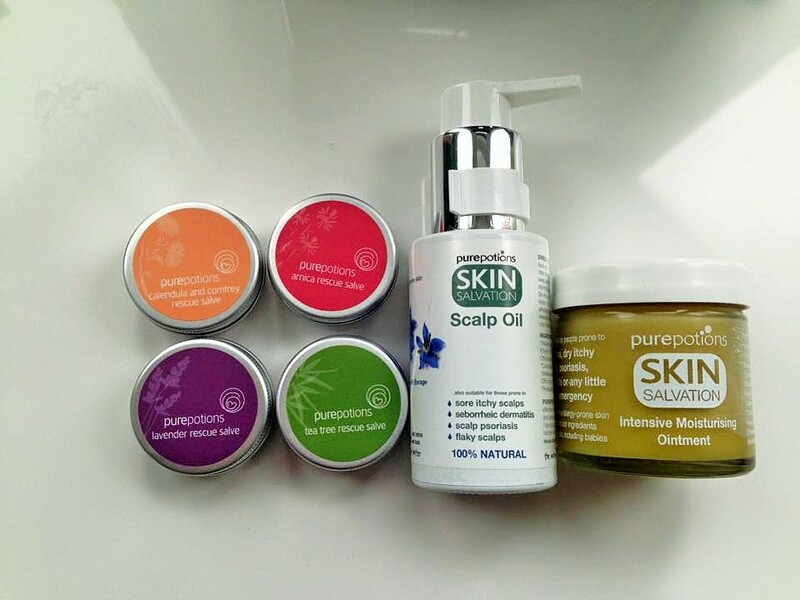 Seborrhoeic dermatitis and scalp psoriasis can also be greatly helped by using these products as they have really helped me. I use this oil at night time, when needed and rub it in around the hairline area ( as that is where i suffer the worst) I then sleep on a towel and rinse off in the morning. It washes out easily and my hair is as soft and manageable as it always is. Very easy to use as its in a pump dispenser, it does smell quite herby, but i really like the smell. I cannot rave highly enough about these products, obviously my issues are quite small in comparison to some of the skin concerns that many people have to deal with. 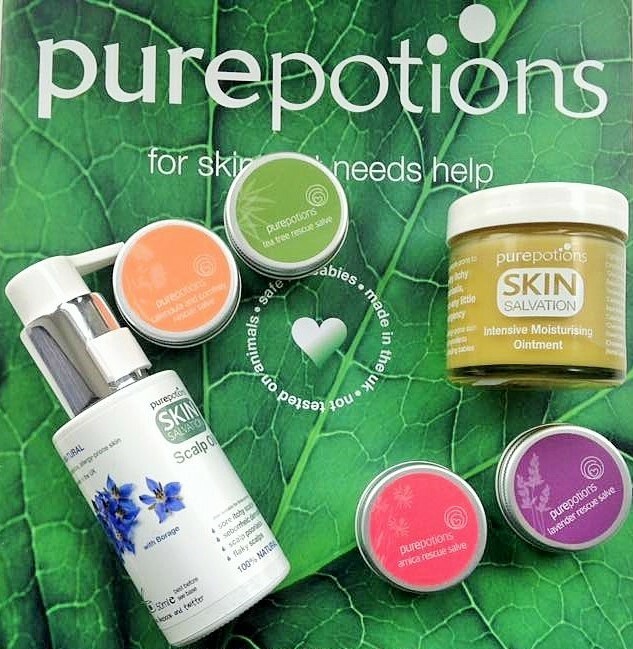 Please see the Pure Potions website to read more Testimonials and see some amazing before and after photos. Always check any medical condition with your doctor first as i have. I have not been paid for my opinion these are genuinely my findings from using these products. I will be posting more from this company about their Intensive hand Cream, Scar oil and Bath and Body oil when I have had time to use them properly. 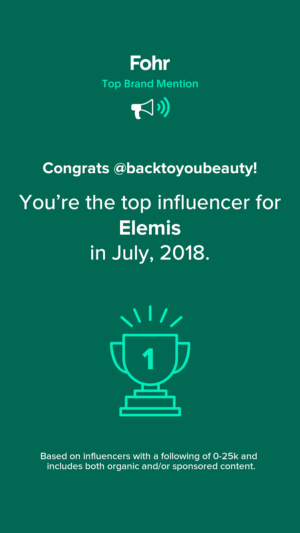 I am also ordering their Daily Moisturiser as i would love to see how it gets to grips with my dehydrated skin, compared to all the lovely skincare products i adore. I would love to know if you have heard of this range before or are currently using any of there products? Please take the time to leave me a comment below as i am genuinely interested and do reply to all. 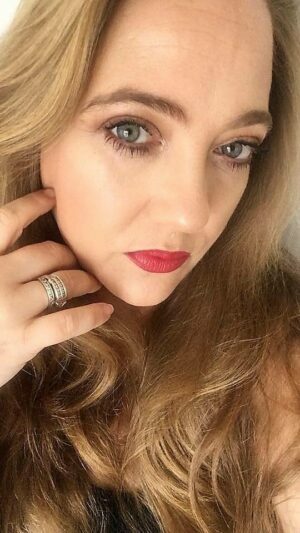 Please also click on my links to sign up for my Email, Follow me on Bloglovin, Instagram, Facebook,Twitter and Pintrest.